Vicky is a multi-faceted, experienced real estate agent versed in all property ranges both in buying and selling, as well as the following scenarios: 1) a developed and established niche company that acquires legally challenging real estate mortgages, 2) potential real property for acquisitions needing evaluation, 3) transactions requiring extensive knowledge and experience in real property and tax records, plus 4) foreclosures and quick sales. 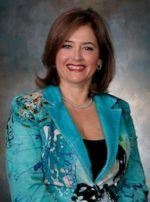 She has received various awards during her career, such as the Women of Excellence Nomination from MWBN, Top Producer Sales Agent recognition from Keller Williams Realty, Two time nominee for the Five Star Professional, 2011 & 2012, Biltmore’s Who’s Who 2011, & Strathmore’s Who’s Who 2011. Vicky has advanced her knowledge greatly over the years by obtaining five powerful real estate designations – ABR (Accredited Buyer Representative) GRI (Graduate Real Estate Institute), CLHMS (Certified Luxury Home Marketing Specialist Designation), CNE (Certified Negotiation Expert) and SRES (Senior Real Estate Specialist – Helping Seniors with their needs).